Today I am writing this post here to bring to readers attention about the new ADFS 3.0 which comes as a part of Windows Server 2012 R2 and how we can utilize the new benefits of this Service by knowing its pros and cons and how to deploy the same in to our Organization and make use of it with Office 365.
Review my earlier blog post ADFS in O365 in a Nutshell to understand the role of ADFS and its deployment considerations and see it in action with the provided references as a start. 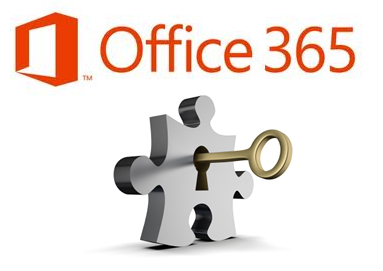 In comparison with other Identity management providers ADFS is the most common implementation for SSO with Office 365. Organizations that already deployed ADFS either use ADFS 2.0 or ADFS 2.1 in their environment for SSO as this a known deployment method so far with office 365 and an essential prerequisite if you are going have a federated domain. You can provide same sign on experience with the new Dirsync Password hash without having federated Identity, and for true SSO ADFS is the best option, Check my earlier blog post "ADFS Vs Password Hash" to know the differences provided with references. ADFS comes as a separate download earlier when Organizations made the deployment and serving millions of customers. As the Technology changes by time, now we no longer need to do a separate installation of ADFS as before and also other significant changes are made to the federation setup with the arrival of the latest Windows Server 2012 R2. Many Organizations already upgraded their environment to the latest Server platform and still some are in their evaluation stages, As everyone know that Windows Server 2012 R2 is a robust product that it predecessors most of of the IT Infrastructure is getting upgraded to this Version and already it marked it presence in most of the private and public cloud offerings. Lets get back to our topic ADFS 2.x based deployment had both internal ADFS servers and external ADFS proxy relies on the IIS, with this latest update it does not relies on IIS and also the ADFS proxy servers are now being replaced with the WAP ( Web Application proxy) where we can eliminate the need of ADFS proxy servers and use the WAP to publish the ADFS URL to the internet using any of your traditional Reverse proxy system. I reviewed the below Excellent post from our Microsoft Consultant Marius Solbakken Mellum on his goodworkaround blog where he explains about the above said information clearly along with other vital topics and visually shows us how to setup federation with ADFS 3.0 and also shows us how to publish the ADFS URL to internet using WAP, along with the O365 configuration steps post deployment. Also, ensure that you have the latest Windows Azure Active Directory (WAAD) Module for Windows PowerShell installed on your environment and then proceed with the Office 365 federation configuration as this is mandate and a prerequisite to make things work with ADFS 3.0, Refer the below post from our Henrik Walther on the same. * Review this below TechNet Blog post from PFE Rhoderick Milne [MSFT] on the topic with detailed walk-through and real-time demo. This is the first one in series of posts and watch out for the rest of the upcoming posts on his blog which will get published soon. *Review this below Excellent Blog post from Jack Stromberg on upgrading your Environment from ADFS 2.0 to 3.0 explained step by step with known issues and facts for a successful upgrade. *Add-on Read: Along with the above blog post from Rhoderick review his recent one below which is really a great post to read and must read I would say because it is quite crucial as it is over securing ADFS access following which will take the Organization's ADFS deployment to the next level. *Be sure to read the below troubleshooting article if you have issues accessing Office 365 Services after token signing certificate rollover in an ADFS 2.0 Environment. * Few other Vital Posts on ADFS listed below from Chicken Soup for the Techie TechNet blog which is a good read, This is more on ADFS 2.0 but some are common issues and walkthroughs that are applicable for ADFS 3.0, I reference here so that you wont miss these essential posts. My Environment is not yet upgraded and soon it will be done and these post will be quite useful for me as well as you to evaluate the changes in the Lab domain and proceed with the production, hope will get additional information when I do that and share it with you soon. Here is the Microsoft Knowledge base article published with the update details to install and get this feature. Finally, Review the below Microsoft PFE Blog post published recently on enabling this "Alternate Login ID" feature explained clearly with guided walk-through and real-time demo. Access the below Excellent step by step guide from Rhoderick Milne MSFT on installing and configuring Windows Server 2016 Active Directory Federation Services (AD FS) for use with Office 365. Microsoft team made new changes to the Token Lifetime defaults in Azure AD to eliminate multiple Sign-in prompts and improve the end user experience.